Although I’ve always had a somewhat unhealthy obsession with clothes, I’ve never been too into makeup. Bronzer and concealer are my staples, but other than that I’ve always been a no muss, no fuss kinda gal when it comes to my face. Besides laziness, the main reason is that I hate spending money on cosmetics. When I finally did start wearing things like mascara and eyebrow pencil, I scoured the shelves at CVS to find the cheapest options. 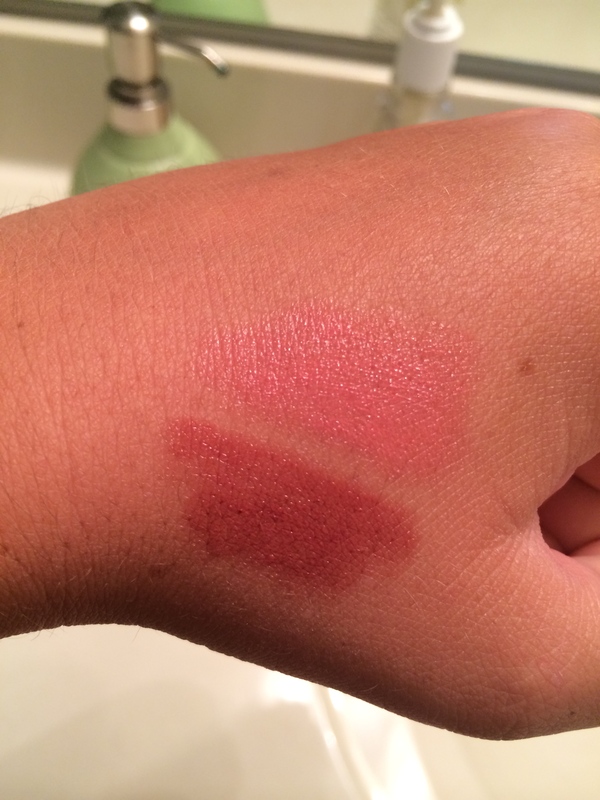 As a recent – and very broke – college grad, I need to stay away from expensive cosmetics now more than ever. That’s where E.L.F. comes in. I like to think that they call it E.L.F. because it feels like Christmas morning when you get your package in the mail, but really it just stands for Eyes, Lips, Face. The concept is pretty self explanatory. Why do I love it so much? Because most of the standard products are between $1 and $6. You heard me right! I can pretty much cover all my bases for less than the cost of one big name product. I recently ordered my second round of E.L.F. products. I always look for coupon codes before I buy (hey, even $1 products add up!) or try to find a free shipping offer. That means I can get a bundle of makeup for less than it costs to drive to the mall and get “real” products. In addition to www.eyeslipsface.com, you can find certain E.L.F. products at Target and Walmart. I just prefer the huge online selection of products and colors. I’ll start with my favorite E.L.F. product thus far: the Eyebrow Lifter and Filler. This time around I ordered two since I loved it so much the first time. The thick pencil has two ends. One end is a tan color, meant to be used first in order to line the brows and make them pop. The second is the regular eyebrow pencil used to fill in sparse brows. I don’t use the lifter because it’s just one more step in my morning routine that I don’t care to take, but I have tried it and it does have a nice effect as long as you blend it properly. I typically just stick to the filler. As I explained in my Eyebrow Envy post, I prefer thick, dark eyebrows, and this pencil gives me just what I need. 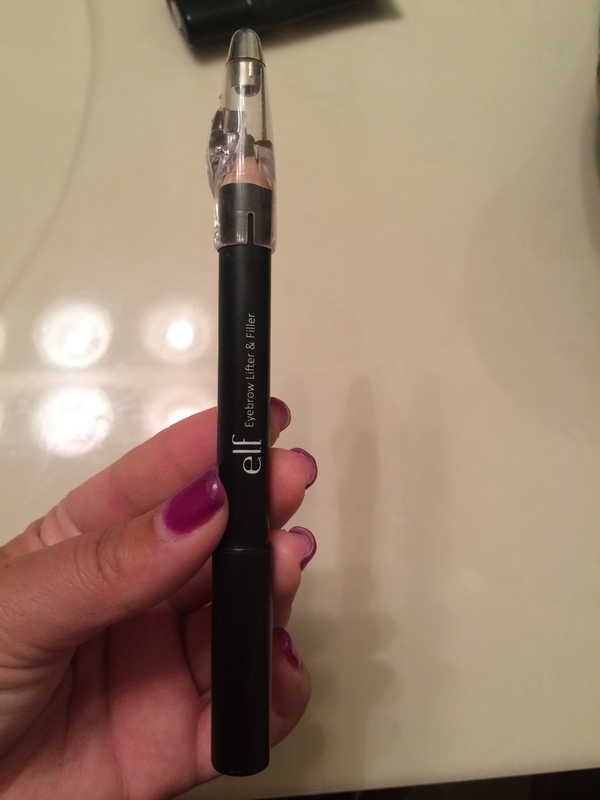 It’s creamier than a regular eyebrow pencil, giving it a nice finish and making it really easy to use. The only downside is that it’s super annoying to sharpen because of its consistency. Next, let’s talk about the Maximum Coverage Concealer. I’m pretty OCD about my face looking even – I think everyone has some uneven spots on their face that they want to hide. Before this, I used a L’Oreal concealer to cover any unwanted spots, but it was too thin because it was intended for just under the eyes. The E.L.F. 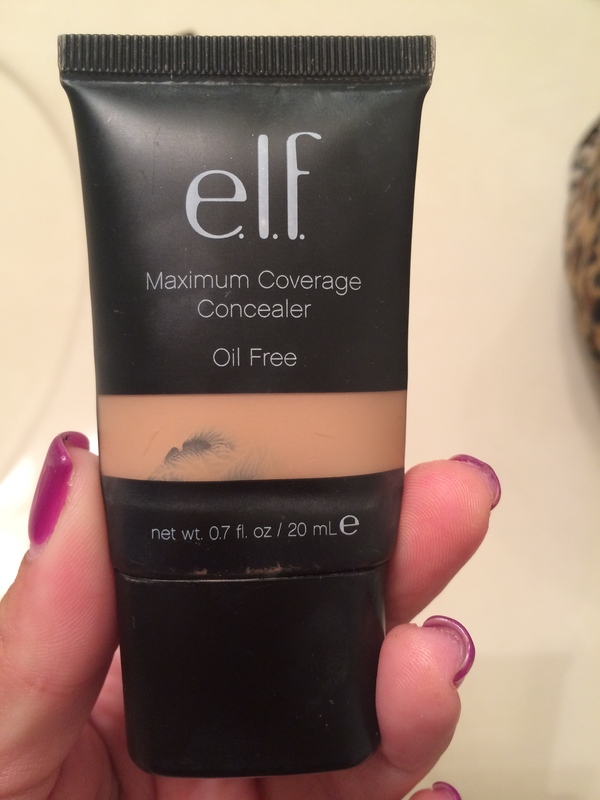 Maximum Coverage version is much thicker and really hides any imperfections. Some people may not like the thickness of the product, but I find it great for foolproof application. If I’m feeling really ambitious, I’ll cover my whole face with the Flawless Finish Foundation rather than spot-treating with the concealer. 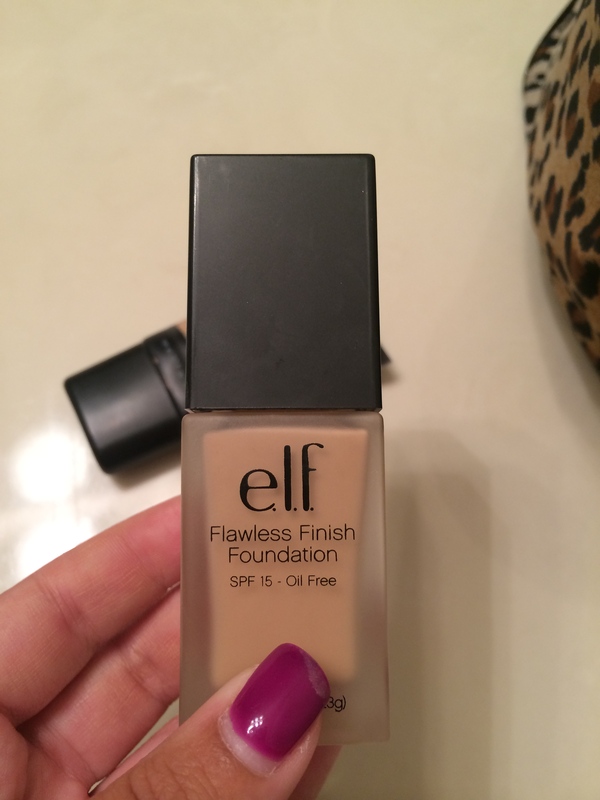 The foundation is much thinner and more liquidy than the concealer, so it’s great if you hate that caked on feeling. It doesn’t do the best job of covering darker spots, but it gives my face an overall nice, even tone. The best part? The oil free concealer has SPF 15 built in so your face is always protected, even when you don’t think to wear sunscreen. 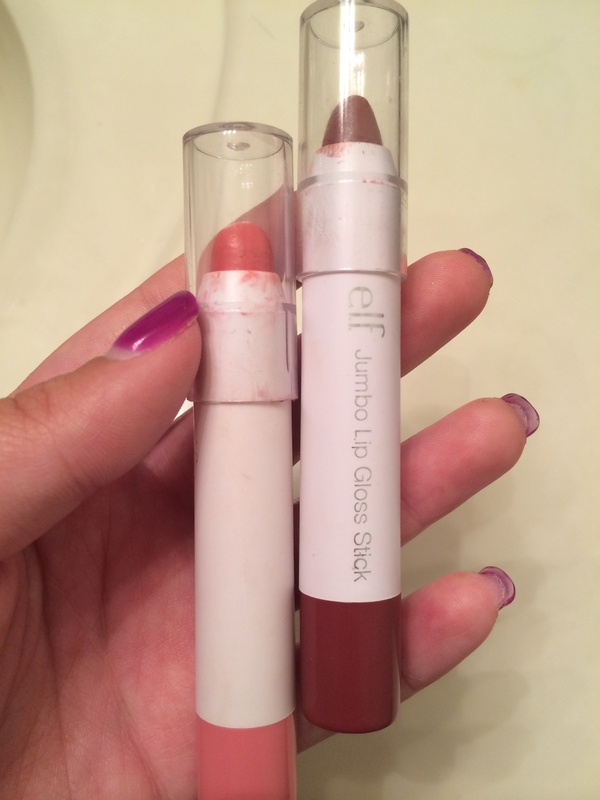 Moving on to the lips: I’m a big fan of the Jumbo Lip Gloss Stick. I have it in both Sangria Starters and Pink Umbrellas. I love the shape because it makes application so easy. The consistency feels more like a chapstick than a lip gloss, so you don’t have to worry about your hair getting stuck to it! Pink Umbrellas has more of a barely-there look, but I love the shimmer it gives. Sangria Starters is a deep wine color that’s great for nighttime. The only downfall to the lip gloss stick is that it isn’t super long lasting, so be sure to carry it in your purse with you for touch-ups! 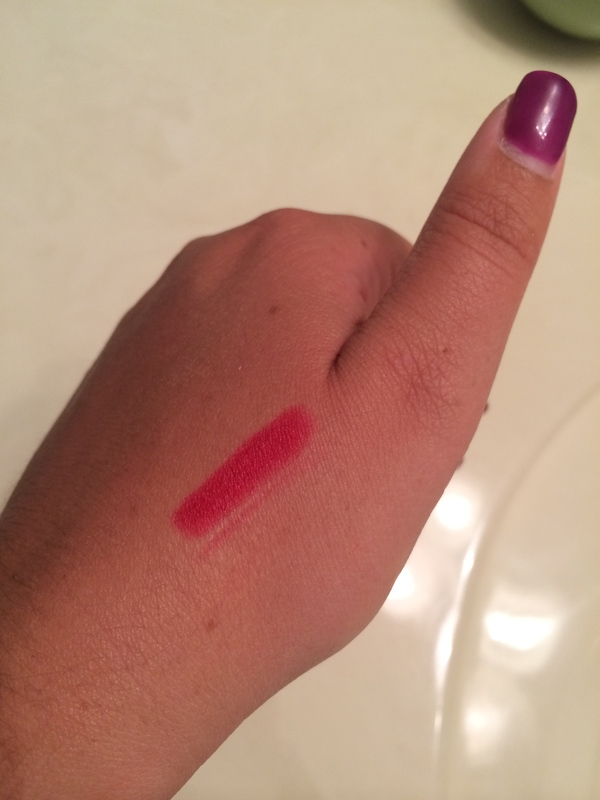 Finally, let’s get to the Matte Lip Color in Rich Red. When you take the cap off, it looks like a thin marker, and it applies just as easily. The color is more bright than rich as advertised, but I still love the statement it makes! I’ve never used a matte lip color before, and I really liked the way it looked. Now for the downside: I wore this one to the Beyonce concert – see my other post for pictures – and I had to keep looking in the mirror to reapply and make sure it hadn’t smudged, which it tended to do. 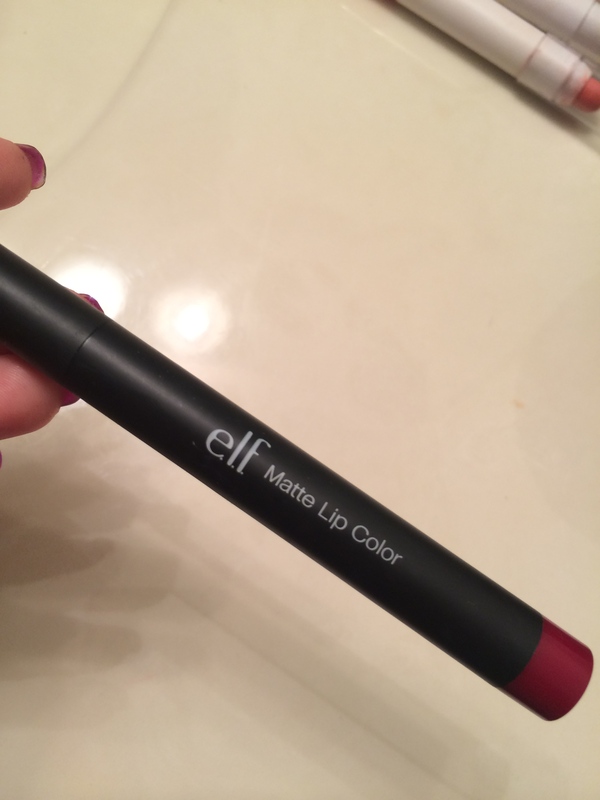 Also, the matte finish makes your lips feel a little dry, but I think that’s just the name of the game. Now for two E.L.F. products from my first order I’ll warn you to avoid. Next, the H.D. Blush in Headliner. I swear I spent 20 minutes trying to scrub that monster off of my cheeks, and I had barely put any on. The second it touched my skin I knew it was a complete bust – I looked like I was on my way to clown school. I spent three whole dollars on that crap? All in all, I’ve had an extremely positive experience with E.L.F. products considering the amazingly small amount of money I’ve invested. My advice is to spend a decent amount of time checking out the customer reviews of each product on the website. And when in doubt? Buy it. If you’re gonna take a risk, take a $1-$6 one!